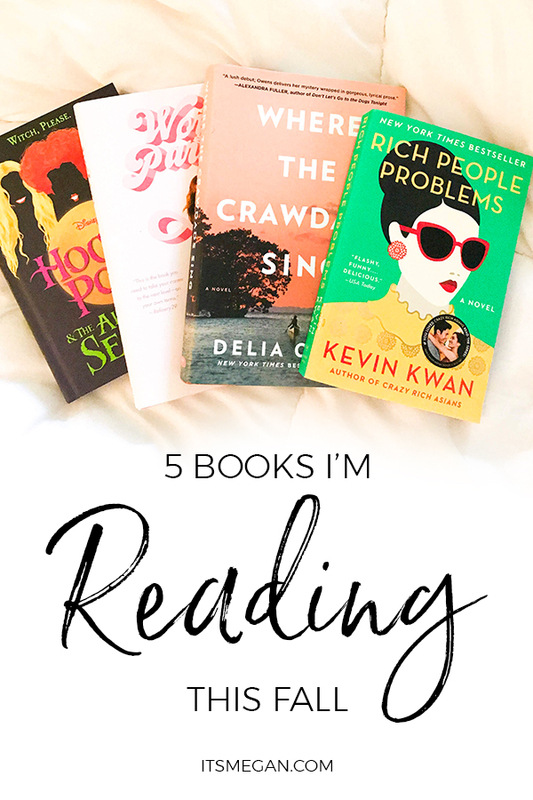 In June, I shared the 10 Books To Read Now, Vol. 1. Have you read them? My New Years Resolution for 2018 was to read as many books as I can. So far, so good. You can check the full list of books I’ve read this year here. But, now that it’s fall, I’d like to focus my books along with the season. 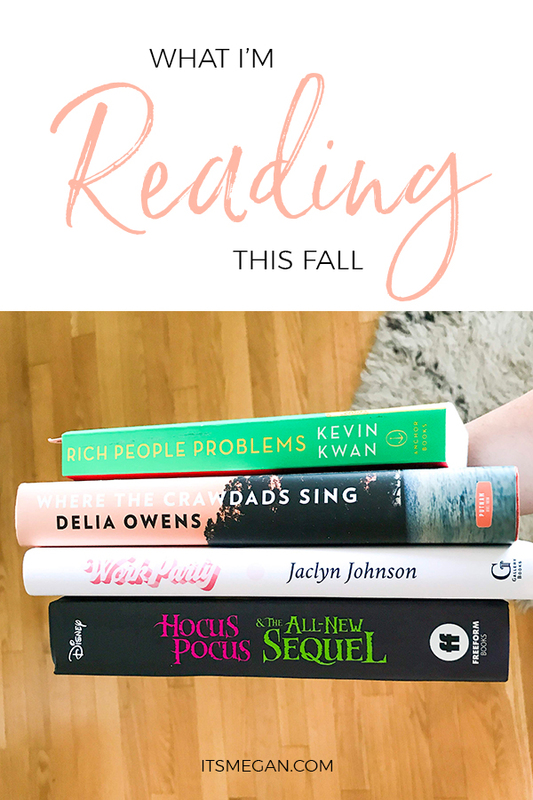 Below you’ll find the 5 Books I’m Reading This Fall! Any more recommendations? 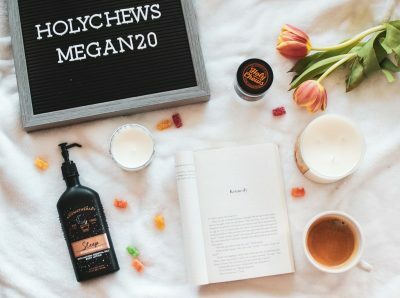 This post contains affiliate links, meaning if you purchase through one of the links I may receive a commission, at no cost to you! This is the third of the Crazy Rich Asians Trilogy. I am obsessed with this story, and love how unique each book is. 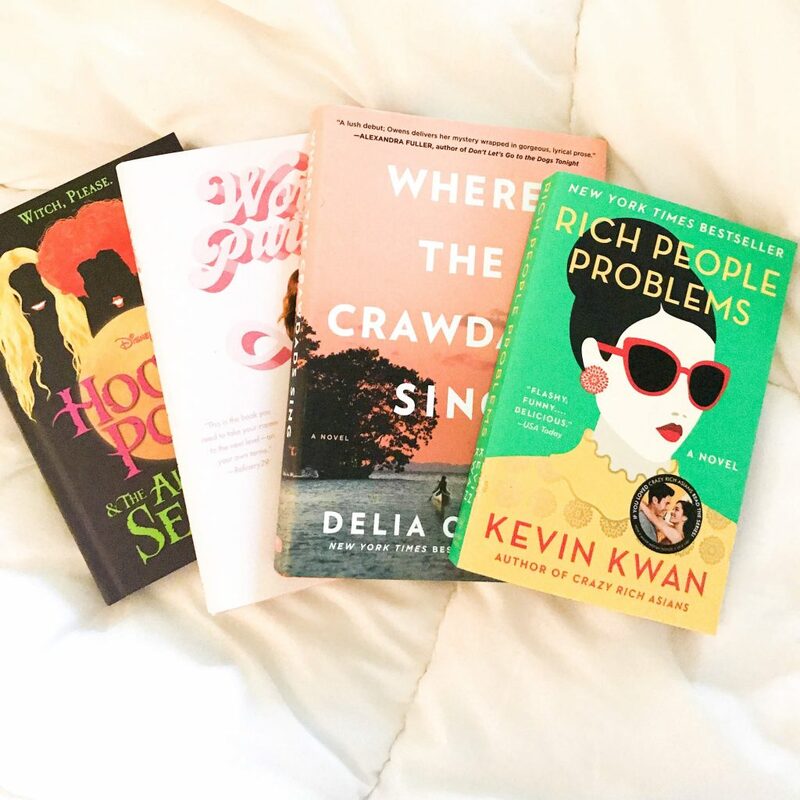 Kevin Kwan really exercises different writing techniques throughout the trilogy, and in doing so, makes you feel like you’re reading a movie. I’m a Basic Witch and I basically love all non-creepy Halloween Movies, so naturally I’m obsessed with Hocus Pocus. I’m intrigued that this is a unique story aside from the movie. Last year, I read Beauty and the Beast: Lost in a Book, which is a story within the traditional story of Beauty and the Beast. I absolutely loved it, and I’m convinced when the new movie came out, they used bits and pieces of that book to help round out Belle’s story. So in the hopes of there every actually being a Hocus Pocus Sequel, I’ll read it. In August, I attended Create & Cultivate’s Conference in Chicago. I left feeling so inspired and ready to move mountains. I also left with this book in hand. 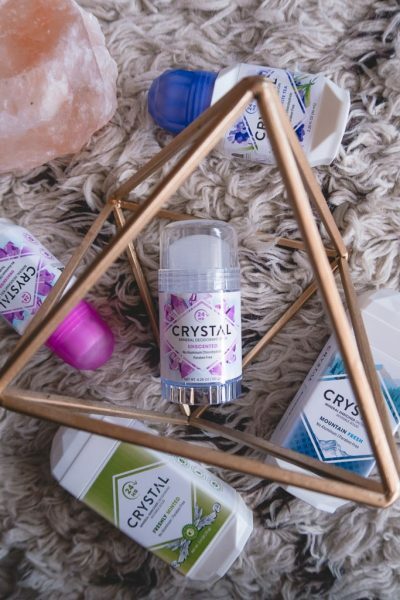 It’s written by Create & Cultivate’s CEO, Jaclyn Johnson – who was climbing the corporate latter prior to being abruptly let go. 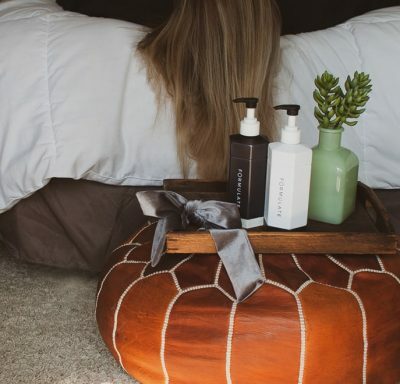 Fast forward and by her early thirties, Jaclyn had sold a company and started Create & Cultivate. For this book, she interviewed a lot of powerful women for tips on how they found success (you can read about my experience seeing some of them at the C+C Conference here). I’m excited to read this prior to the new year, so I can start 2019 fresh and motivated. I’ve been on the Library Wait List for over a month for this book! It was Reese’s Pick for August (I believe), as well as on lists by Buzzfeed, TIME and Entertainment Weekly! I was afraid this wouldn’t fit my fall “theme” (mostly autumn/Halloween books – always gotta throw in a non-fiction though, too) but this is actually a mystery, so it’ll fit right in!. Reese says: “It’s a thrilling mystery that will leave you wondering which characters you can and can’t trust… There’s a twist at the end that still keeps us up at night, it’s THAT good.” ―Reese Witherspoon. Sold. This is another book that I’ve been on the library waiting list for multiple months, and it’s finally ready to be picked up! Amazon describes this book as the “blockbuster of the season”, Granted it’s Summer Wives, but I have been looking forward to reading this one! What are you reading this fall? Do you like to keep your books themed for certain holidays?